A new report from the NUS. 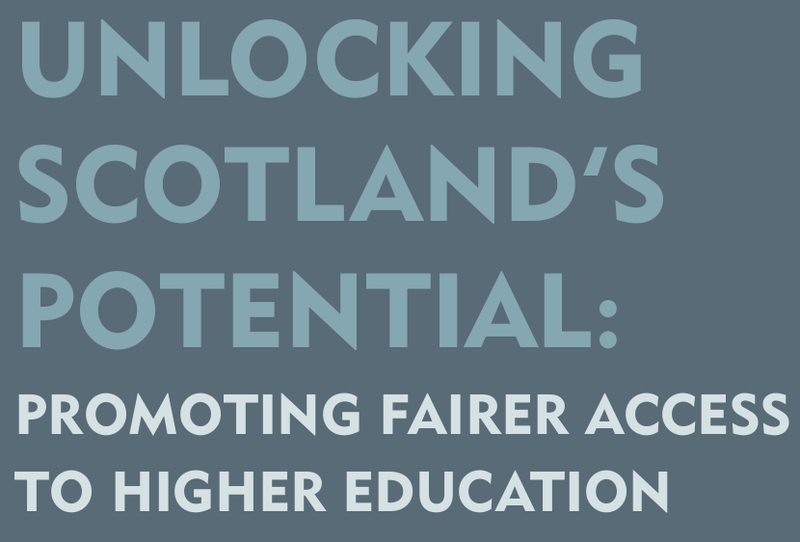 At current rates it would take 40 years to reach fair and representative access in Scotland. 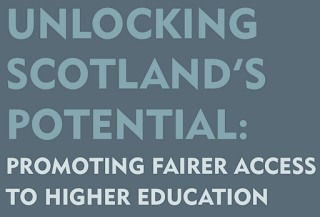 Across Scotland, for every one student from the most deprived background recruited to university, there are 2.5 students from the least deprived background. However, at our institutions with the worst records on widening access (Edinburgh, Aberdeen and St Andrews), the ratio reaches 1 to 16.4 of most deprived to least deprived. At St Andrews the ratio reaches 1:28. It is by no means the rule that deprivation levels dictate participation rates, with many constituencies with high levels of deprivation with good records in terms of sending pupils to HE and vice versa.